Smothing sugar cane Hawaiian body polish. indulge in a smoothing island treat. Sugar cane enzymes, rich in botanical exfoliants, lift impurities and smooth away dull, dry skin. Our body scrub is infused with kukui and macadamia oils to soften and smooth. DELISH!! 90 minute facial and full body exfoliation for $145.00. Enjoy a European facial while indulging in smoothing island treat. Sugar cane enzymes, rich in botanical exfoliants, lift impurities and smooth away dull, dry skin. 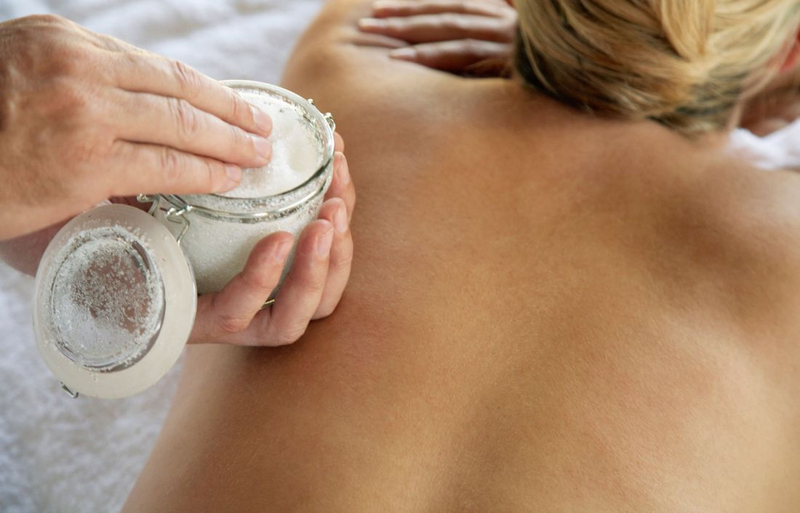 Our body scrub is infused with kukui and macadamia oils to soften and smooth. DELISH! !